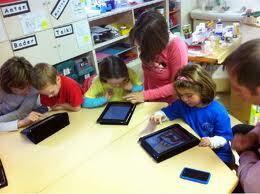 BYOD is growing at a substantial pace in education. Actually according to a recent study by Bradford Networks, 85 percent of education institutions currently allow some form of Bring-Your-Own-Device (BYOD) on their school wireless networks. Boy have the times changed! When I was in school, you could get in some serious trouble for having a phone in class. I can’t remember how many times I got my phone taken away. Sometimes I thought confiscating phones was my teacher’s main goal in life. Now many schools are actually allowing and get this…actually encouraging students to bring in smartphones and other mobile devices like iPads in the classroom to use as learning tools. Apparently I grew up in the wrong generation. This generation is very tech-savvy and also very lucky to have schools systems that understand that. 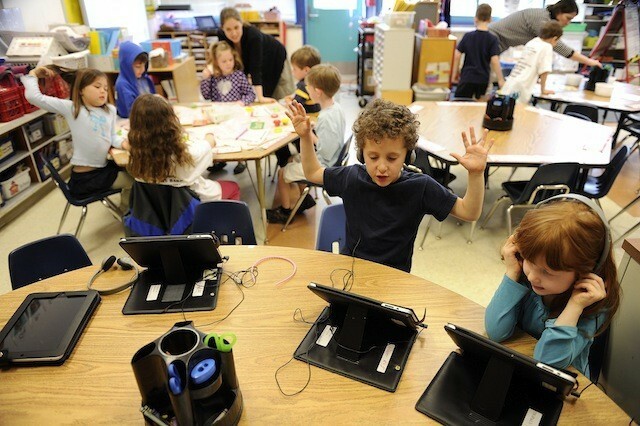 With programs like BYOD, students have the opportunity to learn with the tools they are already familiar with and love. BYOD is really a great option for schools who want to improve education with the latest and greatest learning tools, mobile devices. 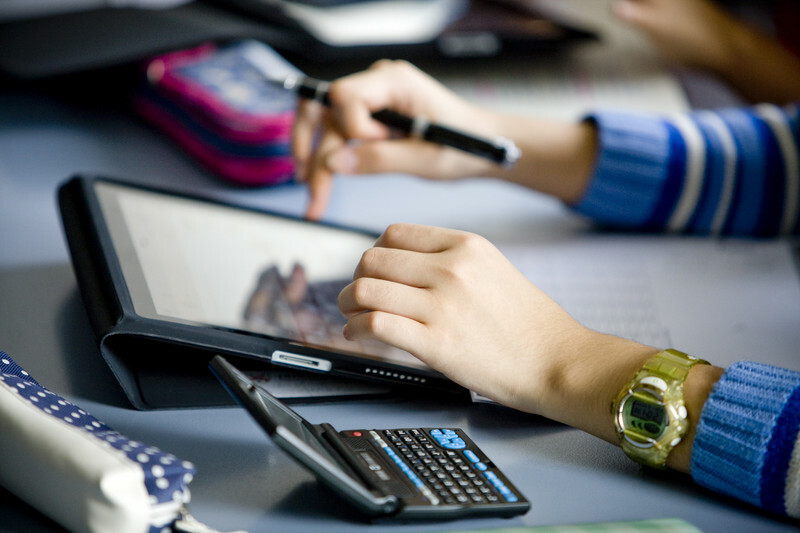 Check out these 3 ways you can improve education at your school with a BYOD policy. Of course not every student is likely to throw up their hand with comments or questions. Many teachers have challenges with getting students to participate. I was one of the quiet ones that even if I did have the right answer or a really good point it didn’t matter; I still wasn’t going to raise my hand and speak in front of the class if I didn’t have to. BYOD can be used to fix this and give every student the opportunity to participate easier. Educators can do things like run polls throughout the lesson to see how much students actually understand the information. Teachers can also allow students to send instant messages during a lecture or lesson directly to the teacher if they have a questions or comment about something. Also students are in love with their mobile devices, so allowing them to interact on them during a lesson or activity will definitely boost student participation. Allowing students to use the devices that have become such a major part of their lives is going to get students more excited and engaged than ever! 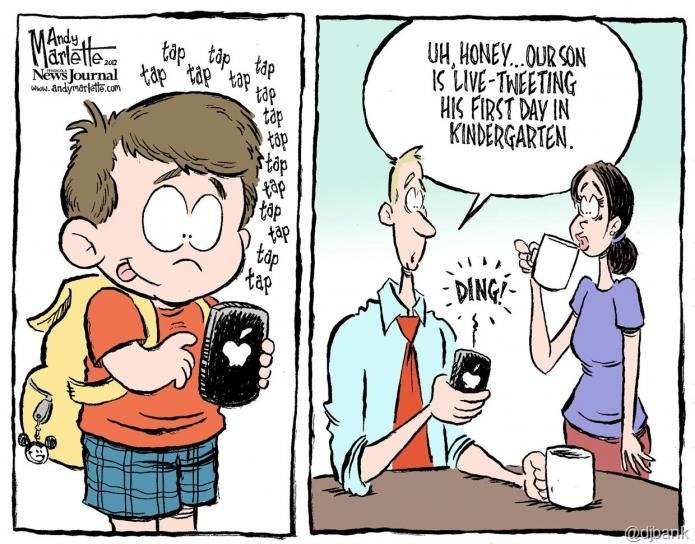 Kids these days live for technology. So it only makes sense to utilize their love for technology in the classroom if you really want to get them excited about learning again. With BYOD, students can easily collaborate on projects with classmates and even students and experts from other schools or even around the world. The ultimate goal of education is to prepare students for their future. Technology is a part of just about every aspect of our lives these days. So not incorporating it into education is just plain crazy. Students need to be prepared for their future careers which will inevitably include mobile technology. BYOD is a great way for cash-strapped educational institutions to provide all of their students with all the benefits or mobile learning with the latest and greatest technology. These are just three of the countless ways BYOD on school wireless networks can improve education. BYOD was once just thought of as a trend, but it has quickly transformed and will soon be the norm in schools all across the United States. Actually analysts have predicted 100% of students will use mobile handheld devices for education by 2016. If your school is considering implementing a BYOD solution you can contact us here with any questions you might have. We have worked with schools all over the country and are experts in implementing solutions like BYOD, 1:1, and basically anything in school wireless design. We can help you figure out how to get started and what your next steps should be. Our goal is to be a resource for you! Good luck!